Jessie Diggins' Heat-Busting Tank Top. Jessie needed a tank top that would keep her cool while roller skiing on hot days. We teamed up to design her perfect hot weather tank, with maximum air flow, great wicking power and an ultra lightweight feel. 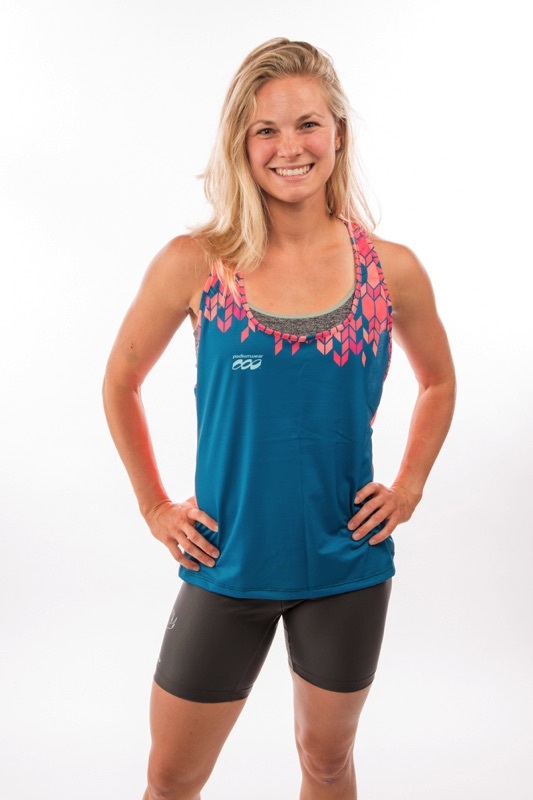 This is your go-to tank top for trail running, gym workouts or roller skiing on the hot pavement. Every inch of it is customizable, even the binding, which makes for some really cool design opportunities.